Maldives Association of Human Resource Professionals- MAHRP is pleased to announce that we have secured a seat and membership for Maldives as a Member of the Asia Pacific Federation of Human Resources Management (APFHRM). MAHRP was awarded the membership in a APFHRM board meeting held in Fiji from 15th – 16th March, 2019, Radisson Blu Resort, Denarau. The Asia Pacific Federation of Human Resource Management (APFHRM) is the network of human resources and people management associations’ representative countries in the Asia Pacific region. As a collective, the Federation’s purpose is to advance the standing of the HR and people management profession within the region. It does this through its member representatives regularly meeting to exchange knowledge and research on best practice in HR. 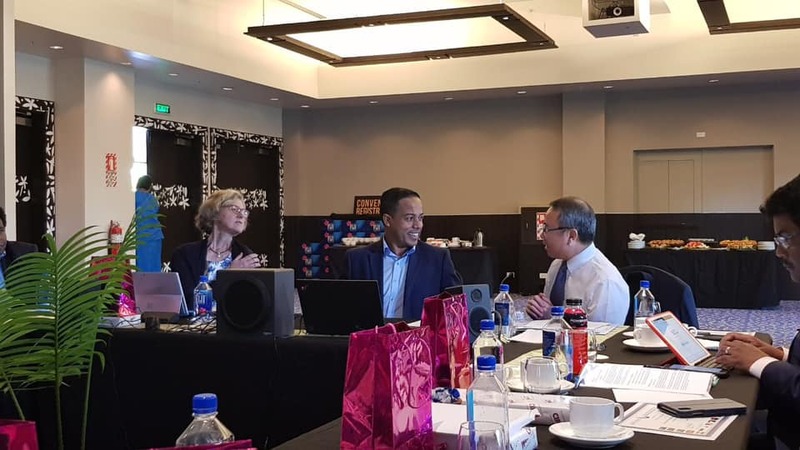 From the member associations’ geographical proximity to one another, the Federation’s major focus is in matters relating specifically to HR in the Asia Pacific region, though it is also an active branch of the World Federation of People Management Associations (WFPMA). The countries that form the federation are Australia, Bangladesh, Fiji, Hong Kong, India, Japan, Malaysia, New Zealand, Pakistan, Papua New Guinea, Philippines , Singapore, Sri Lanka, Taiwan,Thailand, Vietnam and Maldives. The APFHRM comprises a group of representatives from human resources associations within the Asia Pacific region. This will give us opportunities to learn from over 17 different countries and add value to the National HR Network and every single HR Professionals.